Haseena Parkar Preview: Shraddha Kapoor Arrives As Mafia Queen. Are You Ready? Will Haseena Parkar be able to live up to the cine-goers' expectations? Only box office numbers will tell. Haseena Parkar will be one of a kind for Shraddha Kapoor. The actress features in the titular role in the Apoorva Lakhia-directed biopic which is based on the life of underworld don Dawood Ibrahim. Haseena Parkar is also that extra bit special for Shraddha because she co-stars with her real life brother Siddhanth Kapoor for the first time. Siddhanth features as the mafia boss while Ankur Bhatia has been cast as Haseena's husband Ibrahim Parkar. 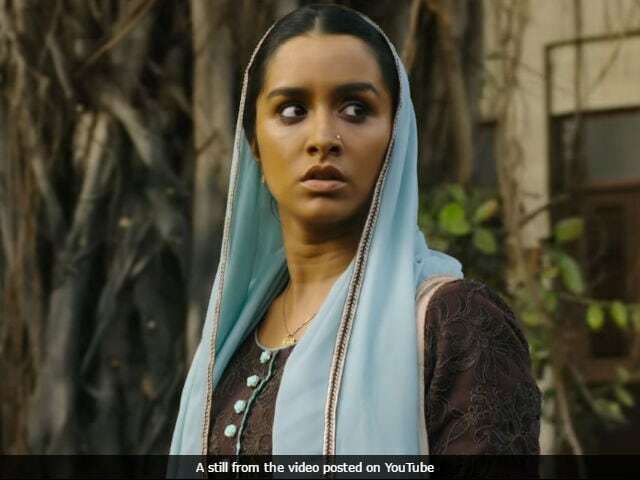 Haseena Parkar generated a lot of interest amongst Shraddha Kapoor fans after the film's team released the first look posters of the lead actors. Shraddha's physical transformation was visibly noticeable, and in interviews later, she opened up about the hard work that went into it. "I tried my best to gain weight and I managed to gain seven-eight kilos. We took help of prosthetics to make me look like Haseena Parkar. I have tried to imbibe her mannerisms and the way she speaks, walks etc. It is entirely my voice, we have not doctored it," Shraddha had told news agency PTI. Shraddha, who has mostly featured in movies of the romance genre - Ok Jaanu, Baaghi, Ek Villain and Half Girlfriend to name a few - was actually startled when she was approached for the role, revealed the director to PTI. "I could only give her a basic idea of what I wanted and I think she had done a great job. It (the film) is a bigger risk for her than it's for me," he added.